Obituary for Dale Eugene Wilpula | Fleming & Billman Funeral Directors, Inc.
Dale E. Wilpula, age 67, Austinburg Rd., Ashtabula Twp., died unexpectedly Tuesday morning at the Cleveland Clinic, even though he has experienced multiple health complications the past few years. He was born March 1, 1951 in Ashtabula, the son of Wilbert & Jane (Russell) Wilpula and has been an area resident all of his life. He was a 1969 graduate of Edgewood High School. Dale was a proud American, very patriotic, and was honored serving with the U. S. Army during the Vietnam Era. He was a former heavy equipment mechanic with Hallmark Excavating in Fairport. Dale was a member of American Legion Post #103 and a lifetime member of H. O. G. (Harley Owner’s Group). 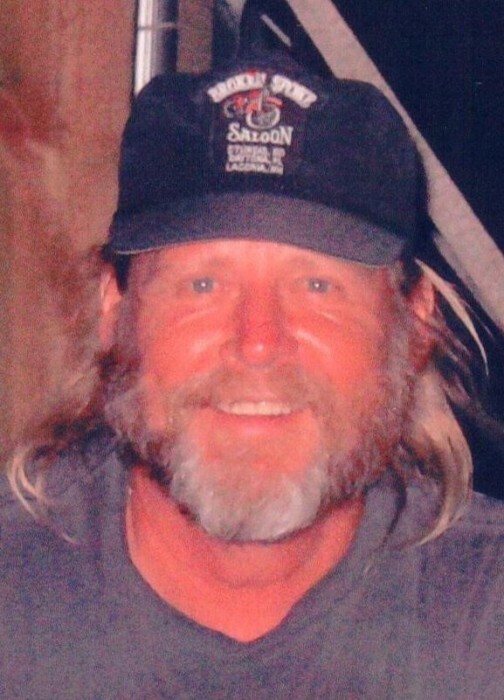 He was an avid motorcycle rider, riding from Nova Scotia to British Columbia, the Pacific Coast Highway from Washington to New Mexico and visited many national parks throughout the United States. Dale has ridden to the Sturgis Motorcycle Rally more than 21 years and was a collector of Sturgis and Harley Davidson memorabilia. He also collected coins and enjoyed the outdoors, the mountains and his own backyard being two of his favorite places. He is survived by his wife, Deb Hedrick, whom he married on August 6, 1988 in their backyard in Ashtabula Twp., two children, Erik (Sharee) Wilpula of Kingsville Twp. & Amee (Steve Holmes) Wilpula of Ironton, two grandchildren, Sara & Zak Wilpula and a brother, Dean Wilpula of Pittsburgh, PA.
His parents and two sisters, Karen Cadmes & Kathie Horn preceded him in death. Calling hours will be held Thursday from 4-7 P. M. at the Ashtabula Home of Fleming & Billman Funeral Directors and Crematory, 526 W. Prospect Rd., Ashtabula. Memorial contributions may be directed to Hospice of the Western Reserve, 1166 Lake Ave., Ashtabula, OH 44004 or the American Cancer Society, 10501 Euclid Ave., Cleveland, OH 44106. Burial will be Friday at 2:00 P. M. in Ridgeview Cemetery with American Legion Post #103 rendering military honors. The Fleming & Billman Funeral Homes and staff are honored to serve the Dale Wilpula family. Visit fleming-billman.com to view obituary, express condolences or light a candle.